January 31-February 2 & March 6-8, 2020. Vinyasa Krama means “wise progression.” It refers to the ancient and time tested principles of sequencing which are the foundation for the high art of truly skilled, compelling and powerful teaching–the essential piece that separates great yoga teachers from the rest. 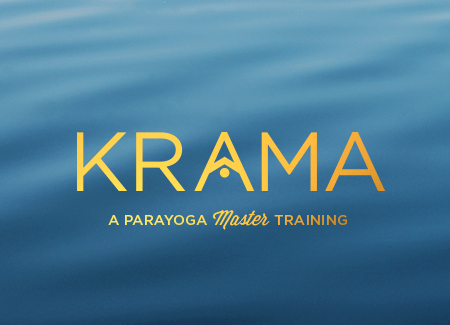 In this training with renowned ParaYoga® Level III teacher Tanya Boigenzahn, you’ll learn how the intersection of yoga, ayurveda and Tantra is the basis for knowing how to sequence a practice(s) in order to achieve any one of an array of desired outcomes. Explore the principles for radical efficiency and effectiveness in your teaching, how to address specific physical/mental needs of your students, how to use asana holistically, maximizing the bio-mechanics of your classes as well as how to maximize the benefits of every class you teach and/or your personal practice. In the Vinyasa Krama training, you will learn various methodologies to create a complete practice that embodies a theme and creates an intentional result. Payment Plan*: $795 – Pay 1/2 now to hold your spot (includes the $100 non-refundable/non-transferable deposit), then we will run the balance automatically on 1/15/20. The $100 non-refundable deposit is due at time of registration. When you register, you may pay in full or only pay the deposit; the option to pay only the deposit appears at the final payment screen. Any remaining balance is due by the start date. Early bird rate requires all tuition costs to be paid in full no later than the Early Bird date above. If total costs are not paid in full by this date, participant is no longer eligible for the early bird discount, and course fees will revert to the regular (higher) cost. No Refunds. Any cancellations done 30 days or more prior to event start: The deposit of $100.00 is non-refundable and non-transferable. The balance (total cost minus the non-refundable deposit) is not refundable, but will be converted to credit it is transferable to future Devanadi events. Any cancellations done 30 days or less prior to event start: All payments are non-refundable and non-transferable.